Ian Kessel, whose Haverhill, Massachusetts, home was under surveillance by an armored police truck, was arrested Monday in Florida on marijuana possession charges. 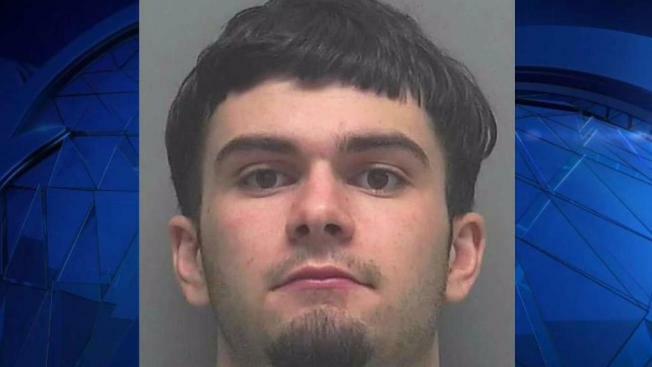 A man whose Massachusetts home has been the subject of surveillance by an armored police truck was arrested Monday in Florida on marijuana possession charges. Police in Haverhill have been stationed for days on Lexington Avenue outside the home of 20-year-old Ian Kessel, who was arrested in 2016 on armed robbery charges. Neighbors referred to the home as a "nuisance," with one woman who did not want to be identified citing "nightly parties." Kessel was charged Monday with two misdemeanors for marijuana possession and resisting arrest, according to the Lee County Sheriff's Office in Florida. 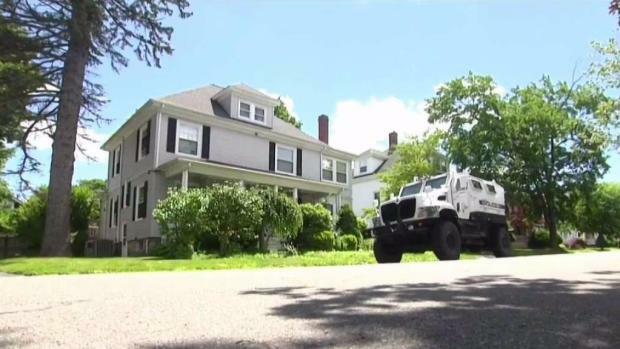 Haverhill Police say between Thursday night and Friday morning, they received so many complaints that they decided to deploy the armored vehicle for surveillance. A resident in a quiet Haverhill, Massachusetts, neighborhood is causing so much trouble, that police have been stationed outside his home for days. "You could tell they were very, very upset about what was going on in their neighborhood, to the point it was affecting their lives and their families' lives," Lt. Robert Pistone said. It was not clear whether Kessel was in Massachusetts at the time of the police response. Two women who were at the Lexington Avenue home Monday said the armored police truck was "ridiculous and unnecessary." Tuesday, police confirmed they were in the process of having the truck moved. While NBC Boston has confirmed 12 Lexington Ave. in Haverhill is a listed address for Kessel, the Lee County Sheriff's Office lists a location in North Naples, Florida, as his last known address. Kessel's bail in Florida was set for $3,000. He is due in Lee County Court on July 18. In Massachusetts, he is set to go on trial Sept. 11 on armed robbery charges. It was not immediately clear if Kessel had an attorney.